European Commission issued standardization request for a new European standardization deliverable in refrigeration, air conditioning and heat pump equipment. To support and provide the reduction of the use of hydrofluorocarbons (HFCs) in refrigeration, air conditioning and heat pump equipment, the European Commission had issued the standardization request to have a European standardization deliverable on the use of flammable refrigerants. These new standardization deliverables specifically classified as A3 in refrigeration, air conditioning and heat pump equipment are planned to be issued by November 2020 or February 2021. 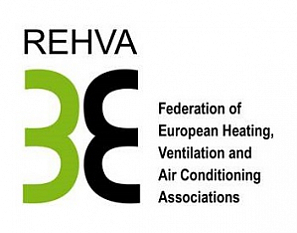 The main aim is to have a new European standardization deliverable with technical specifications that enable guidance on how to allow a wider use of flammable refrigerants without influencing health and safety of consumers, workers and property and could also serve as a basis for the development of national codes, standards or legislation in the Member States. Read more on the specific technical requirements in the annexes here. It is expected that CEN and CENELEC provide this final report to the European Commission by 15 February 2021. For additional information read more on the CEN-CENELEC working plan 2019.